One of the most memorable sights during my trip to Korea was watching an ahjussi prepare takoyaki along the streets of Dongdaemun. 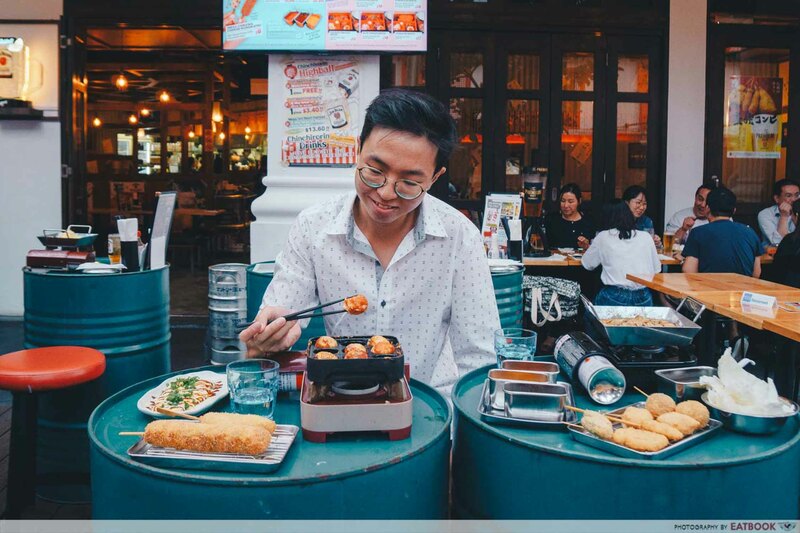 As he deftly flicked columns after columns of octopus balls with bamboo skewers, I was sorely tempted to apprentice in the school of takoyaki. My wish was fulfilled during my recent tasting at Kushikatsu Tanaka – Japan’s largest kushikatsu (fried skewers) chain. Not only was I pampered with a litany of skewers, but I was also treated to a rare DIY takoyaki experience. 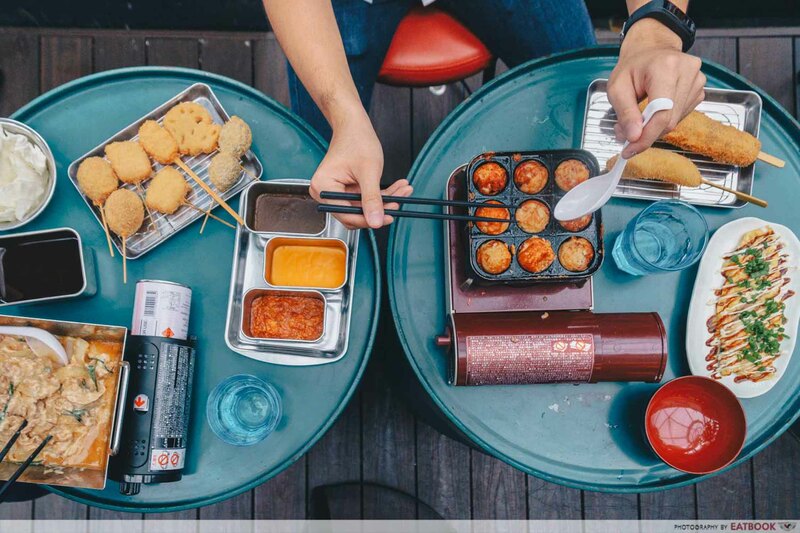 Each DIY Takoyaki set greets you with the following: a jug of wheat flour batter, diced red pickled ginger, bamboo skewers, raw cabbage, and your selected topping. 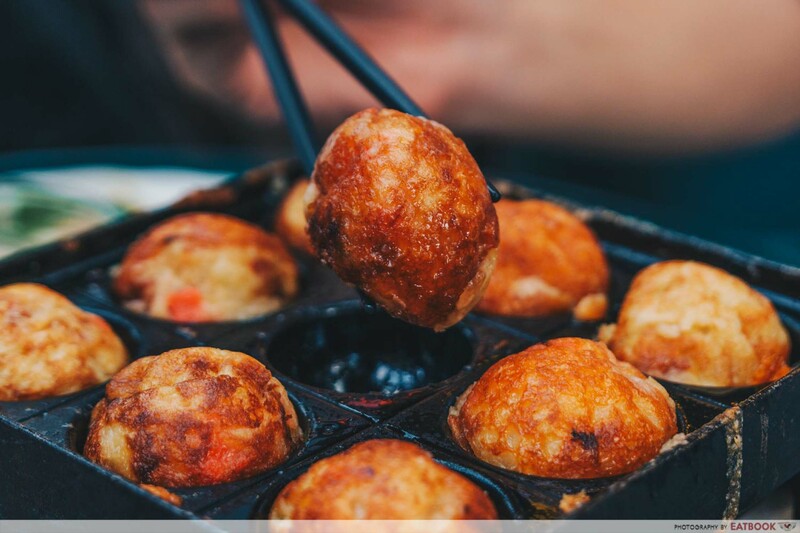 Take your first step to becoming a takoyaki master by mixing the batter evenly, before distributing it across the hemispherical moulds. Now it’s time to add your toppings. Out of the three toppings available, we chose the Unagi ($11++) for its sweet flavour and soft texture. Onto my favourite part: flipping the takoyaki. Don’t worry if the only dish you can whip up is Maggi mee; if my butterfingered hands could create decent-looking takoyaki, so can you. The key is patience. Difficult as it is, resist the urge to tidy up the batter and wait roughly three minutes for the balls to take shape. Half-cooked, the batter will become messy. Our advice? Look out for a small pocket of air between the ball and the cast, and direct your skewers towards it. Once you achieve the familiar round contour, roll the takoyaki around for an evenly-browned crust. 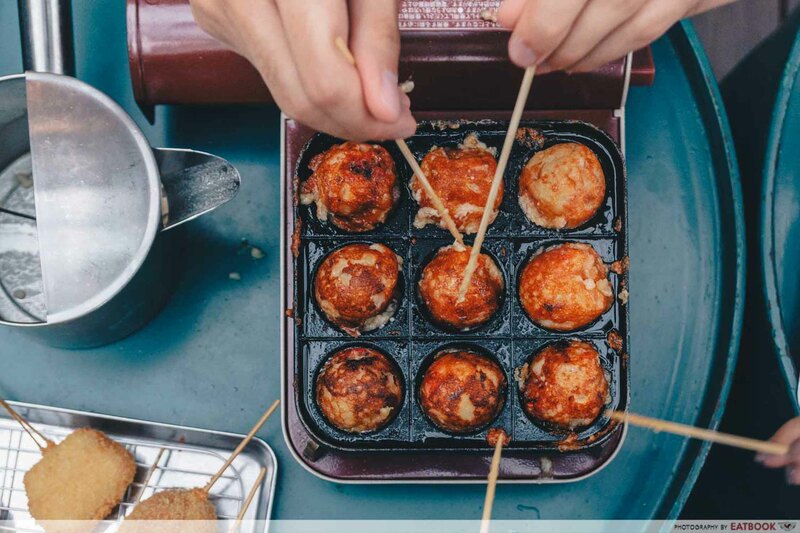 Seasoned with soy sauce and a dash of dashi broth, the takoyaki released a rush of umami, as the earthy kick of ginger rode in its coattails. I also detected a faint sweetness, bolstered by the luscious unagi. What I appreciated most about the takoyaki was its light batter. While I’m usually bloated after eating these ball-shaped dumplings, I found myself craving a second serving after my meal. However, the tenkasu (tempura bits) mixed into the batter seemed redundant, as it failed to inject crunch to the takoyaki. 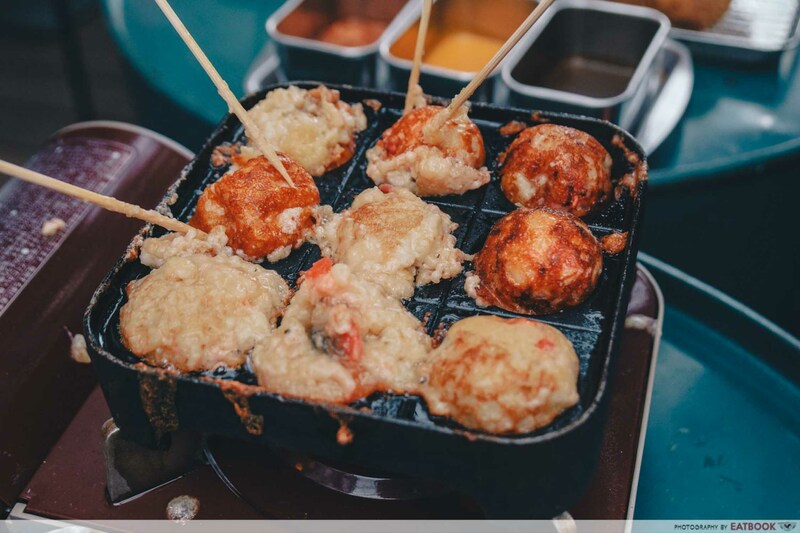 While you can pamper yourself with an additional topping of Cheese ($3++), we found that the cheese robbed the takoyaki of the unagi’s sweetness. 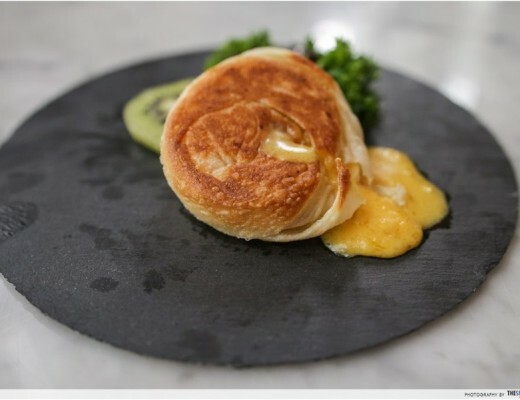 For a balanced flavour profile, pair the cheese with toppings such as Prawn ($10++) and Tako ($10++) instead. As I craved a palate cleanser, their signature dipping sauce was a welcome sight. With its vinegary accents, the zesty relish offered a pleasant contrast after the repeated injections of bold flavours. Do note that the dipping sauce is communal and double-dipping is strictly prohibited for hygiene purposes. To bypass this rule, use the strips of cabbage to ladle extra sauce. 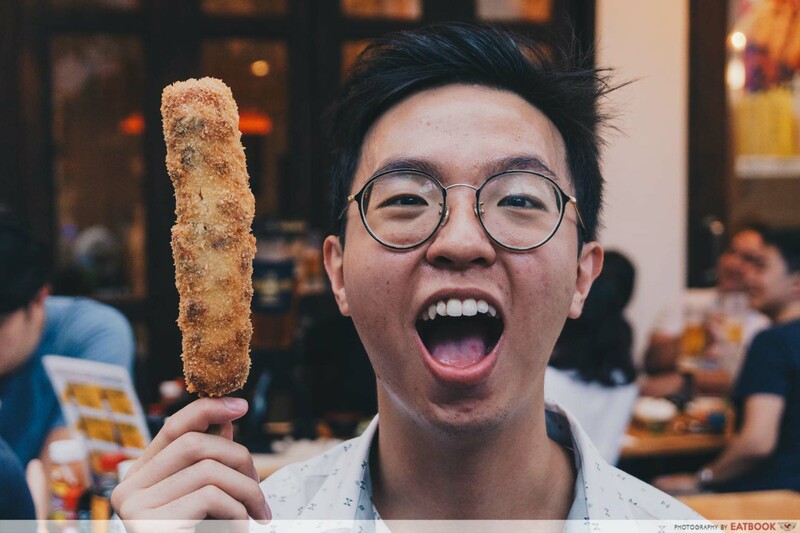 Rally your friends to try their signature kushikatsu as well! 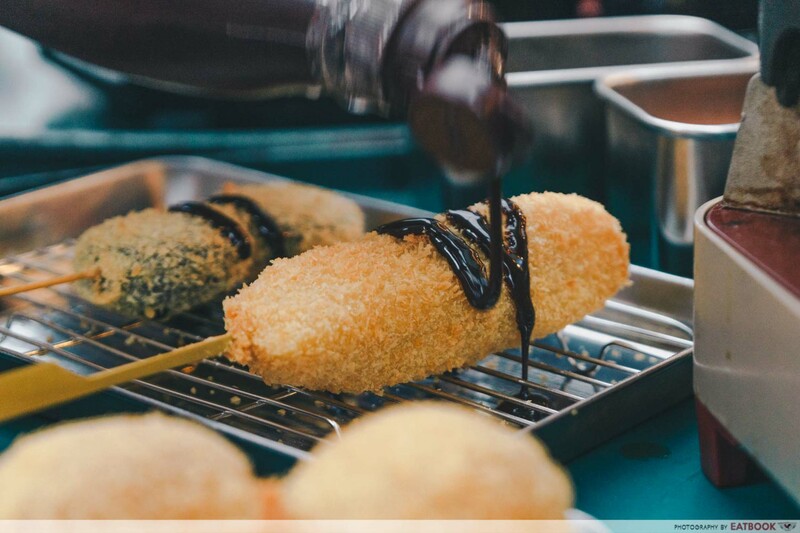 Until 28 March 2019, Kushikatsu Tanaka is having a $1 kushikatsu promotion, between 5pm and 7:30pm. Don’t say bojio! What sets Kushikatsu Tanaka apart is its house-made batter. Finer than those used in other kushikatsu stalls, the breadcrumbs supplied the skewers with a unique crunch. Furthermore, the skewers are fried in a custom oil blend – mixed with beef fats – for a richer taste. Out of their impressive gamut of skewers, we enjoyed their Banana Skewer ($1++) the most. With its familiar combination of sweet and crunchy, the dessert reminded me of goreng pisang, sans the greasy aftertaste. Don’t forget to garnish your dessert with chocolate sauce as well. The added dimension of cocoa richness creates a candied treat for the sweetest tooth. 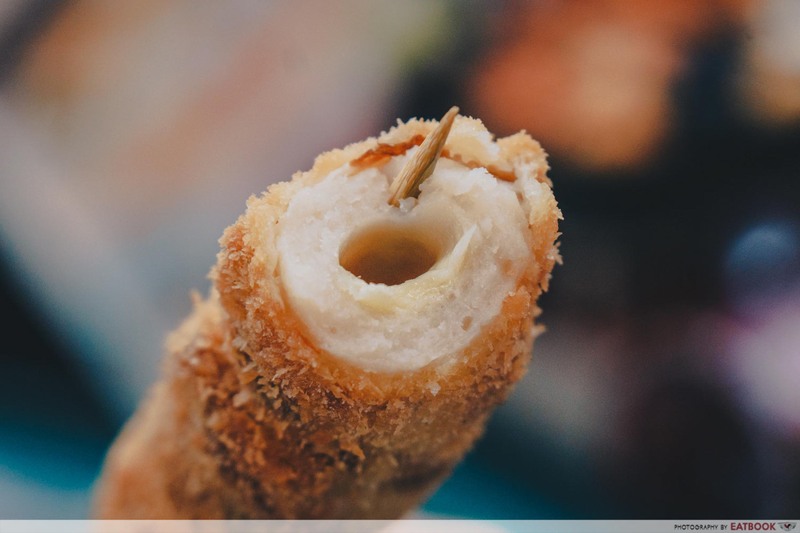 As part of its Mega Cheese Festival, the restaurant has also released the Mega Chikuwa Cheese Kushikatsu ($6++) – a whopping 15cm Japanese fishcake stuffed with mozzarella, which impressed with its savoury tang. Unfortunately, as we were accustomed to the springy texture of our local fishcakes, we found their fishcakes too dense. 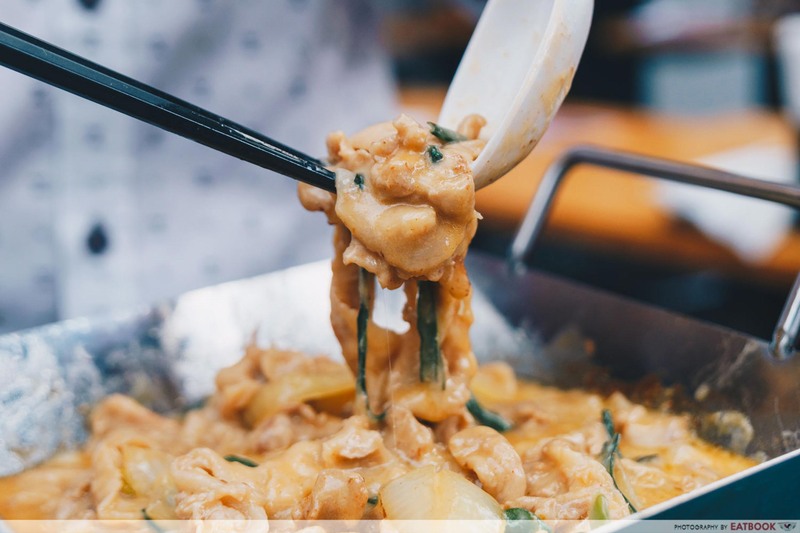 Another newly released dish is their Pork Chiritori Cheese Nabe ($18++), which welcomed me with a hot pan of marinated pork and melted mozzarella. 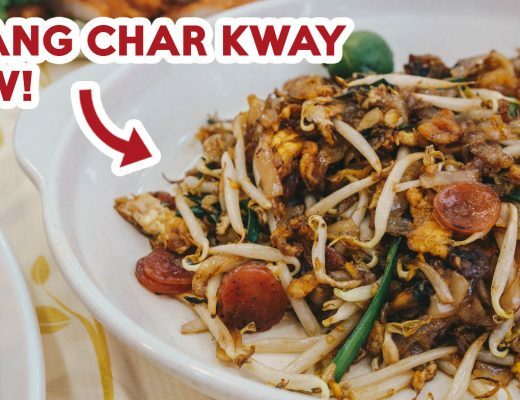 Other than pork, beef and chicken are available as toppings as well. Like a well-conducted orchestra, the rich mozzarella harmonised with the caramelised onions, creating an ideal backdrop for the porky meat. 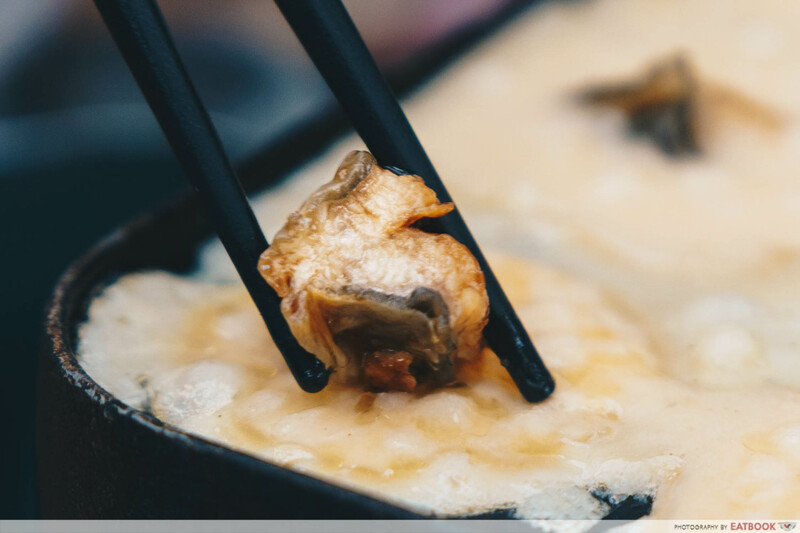 There’s another perk of ordering this dish: after the cheese melts into the nabe, it transforms into a viscous dipping sauce, wrapping the skewers in a savoury blanket. 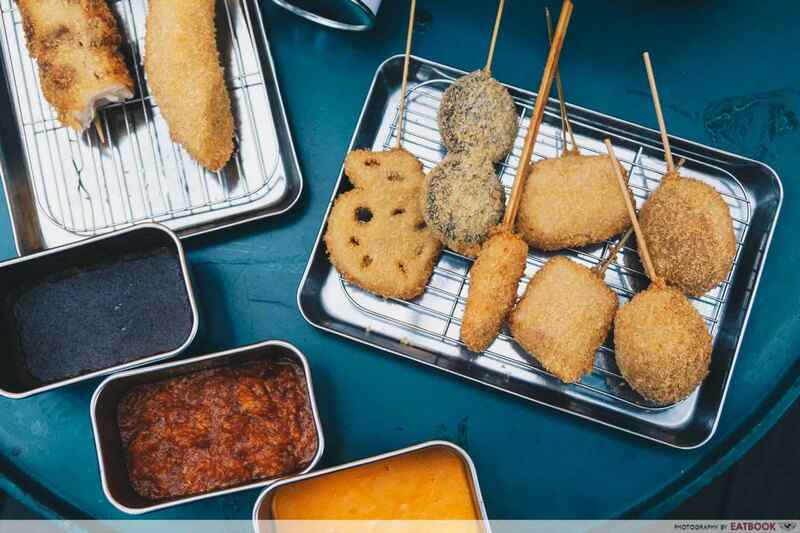 With Japanese posters plastered on the walls and lively Japanese songs playing in the background, Kushikatsu Tanaka will remind you of a traditional izakaya. 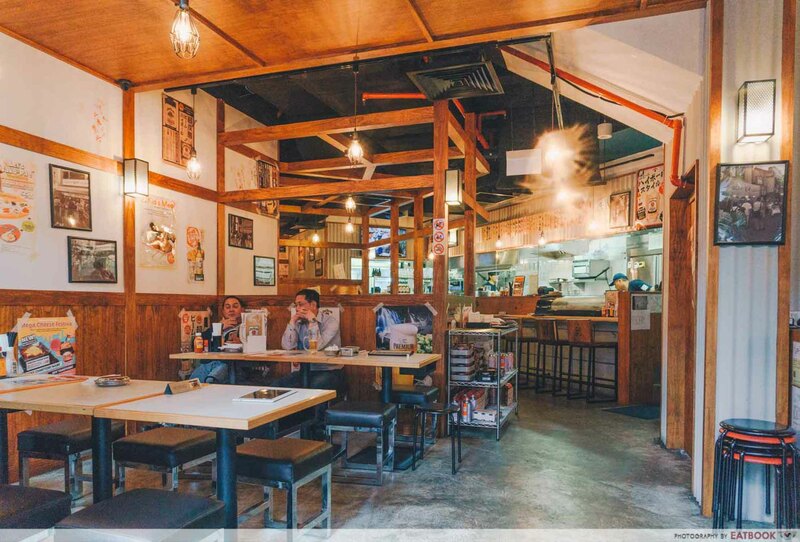 The friendly staff and open kitchen concept only add to their homely vibes. And as the restaurant is well-ventilated, there isn’t an unpleasant odour of grease lingering on your shirt. 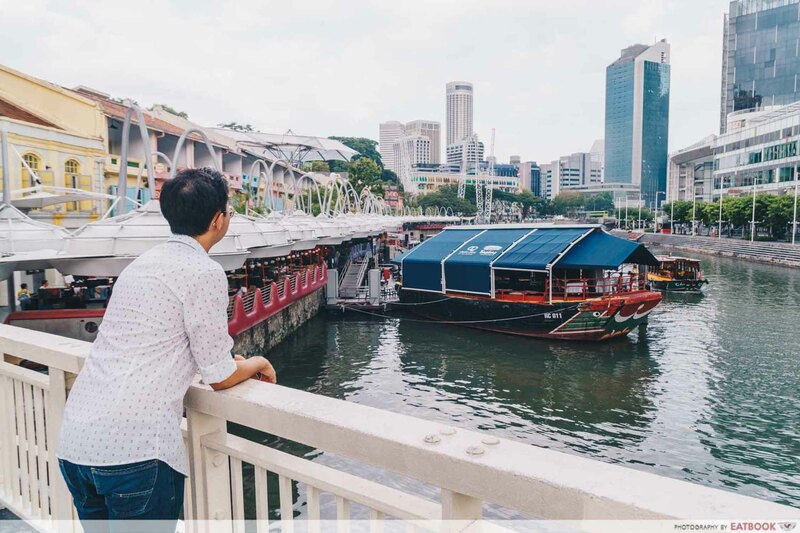 The eatery’s proximity to the Singapore River is the icing on the cake. Take a stroll after your heavy meal and soak up the lively atmosphere and kaleidoscopic night view. Like any DIY experience, the fun comes from the process, rather than the outcome. 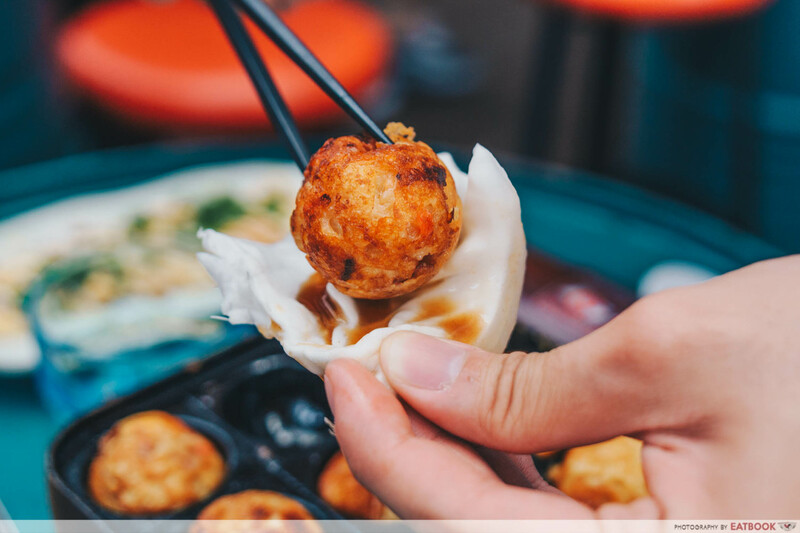 Admittedly, the crust of your takoyaki may be slightly chao da, its shape a tad irregular, but it remains your imperfectly perfect creation. And isn’t that oddly satisfying? 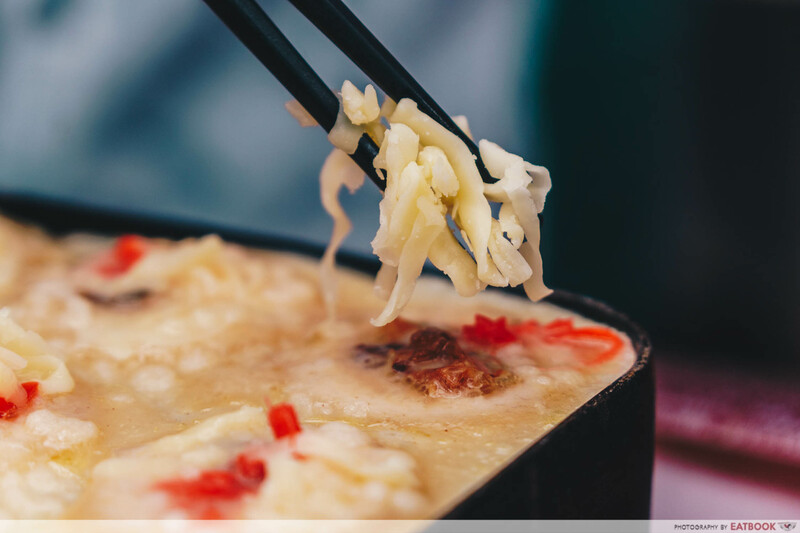 If you are searching for more DIY experiences, drop by Seiwaa, which offers an opportunity to make your own okonomiyaki and monjayaki! Kushikatsu Tanaka is not a halal-certified eatery. This was a media tasting at Kushikatsu Tanaka. 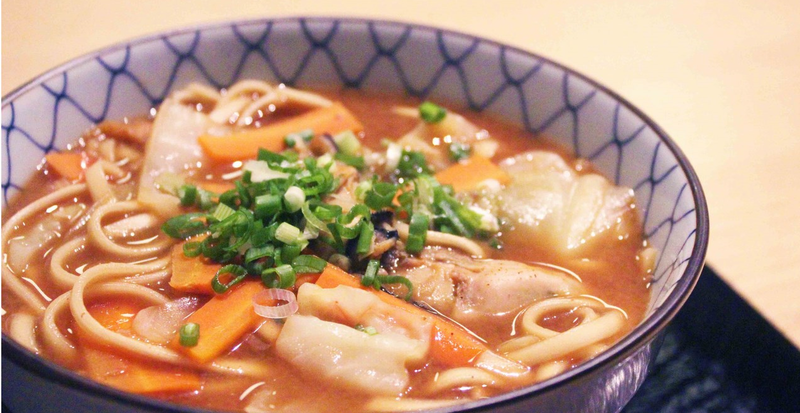 Ippin Cafe And Bar Review: An Affordable Japanese Oyster Bonanza!